Last week, I was so taken in with the baby chicks for sale at Denver Urban Homesteading’s Indoor Farmers’ Market, that I didn’t post pictures of other vendors from the market. There is a surprising amount of variety for February! 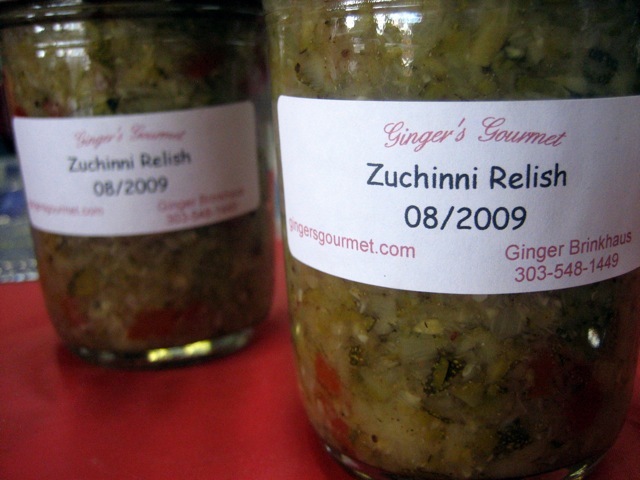 While fresh veggies are in short supply, vendors like Ginger’s Gourmet had the good sense to put up concoctions like zucchini relish last summer. Denver Urban Homesteading is stocked with heirloom vegetable seeds from Baker Creek. It’s nice to see increasing interest in heirloom vegetables, but dreaming about all of these tasty varieties is amplfying my impatience for the arrival of spring. Read more at The Weekly Veggie. Thanks for visiting!